Brendan and Michael Etherington have been playing music together for close to 15 years. Both play guitar and sing and from a very early age were able to harmonise their vocals. 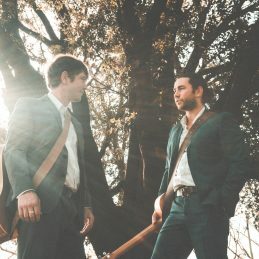 The brothers have a strong understanding of how the right music can bring joy, light and colour to a wedding and how music is a crucial part to making a wedding seamless, enjoyable and memorable for all the right reasons. The boys would love to create a special soundtrack for your wedding and are flexible to meet all your needs. We are able to cater our set list and song selection to work with whatever your wishes are. From chilled background music, to modern classic songs and everything in between.